There seems to be a lot on there, and judging from the range of photos online, there's no worldwide standard. Question: What are the necessary contents of an "Islamic certificate" required for a convert to perform Hajj pilgrimage? Then confirm and declare yourself Muslim and follow the tenants of Islam. The process does not require any witnesses, you can one day - sitting at home, decide to become Muslim, say the Shahada and follow the tenets of Islam. Practically, however, such undertaking is done after consultation with an elder or Islamic religious scholar, usually done in front of witnesses (i.e. declared in public - but again, its not a requirement). Most often it is done after the weekly Friday prayers; however again there is no such strict requirement. Since the process is so simple - for the purposes of admission to the Holy Cities, a certificate is required if you are convert and not born a Muslim. 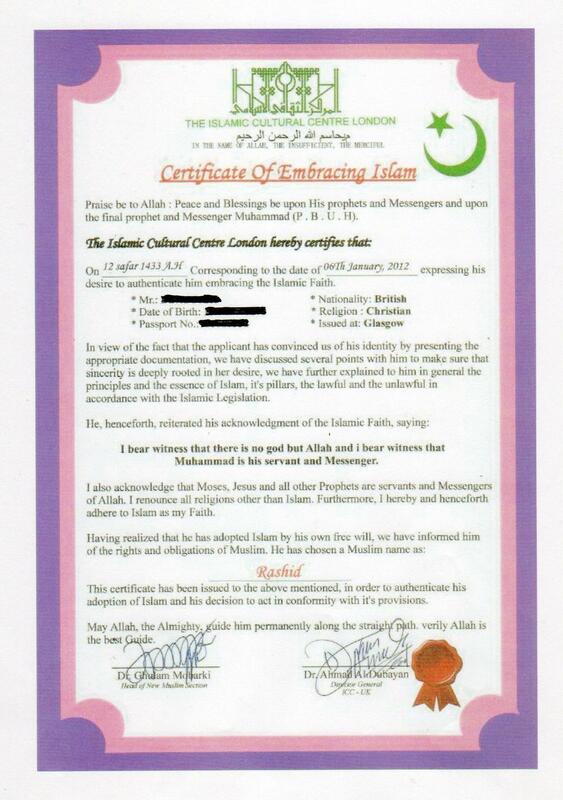 This certificate simply notes down the details of the date, time, the particulars of the witnesses and the certificate is usually signed by the Islamic Center (usually, the prominent Mosque in the area) administration; most often by the director or the designated Imam of the Mosque. 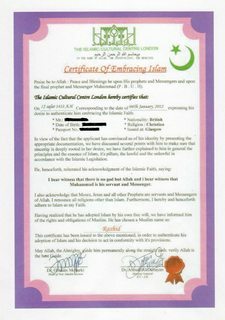 There are no hard and fast requirements, but the certificate serves as "proof" (for legal purposes) that you have converted to Islam. Not the answer you're looking for? Browse other questions tagged visas saudi-arabia islam pilgrimages or ask your own question. What are the rules for driving in Mecca? Is the St-Jacques de Compostelle pilgrimage realistic for a non-experienced hiker? Australia visitor visa: are the additional attachments after payment necessary?